The easiest way to add a festive, holiday vibe to any look is to add some SPARKLE. 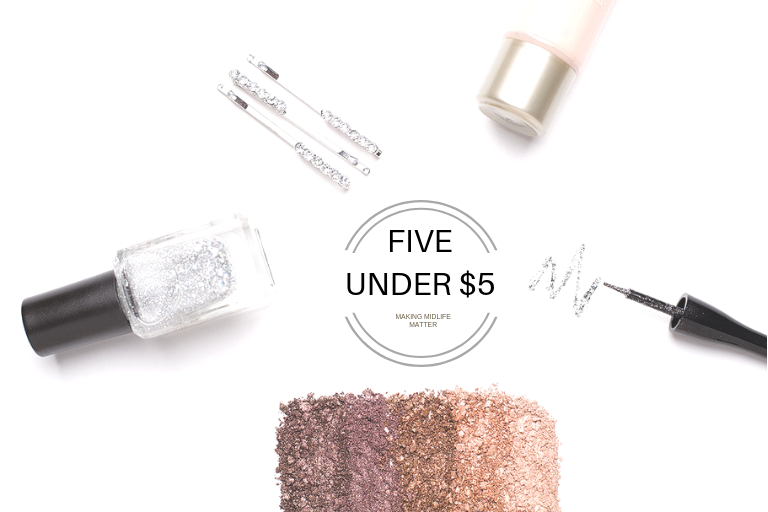 Whether you like wearing full-on glitter or a just a hint of shimmer, there’s something for everyone to add sparkle to your holiday makeup routine on this 5 Under $5 list. What to my wondering eyes should appear, but e.l.f.’s beautiful collection of sparkle this year! Their Stardust Glitter Eyeliner is a definite standout. Just paint it on as you would any liquid liner. Add a thin or thick line to your upper lash line, depending on how dramatic you would like your look to be. Wear it alone or apply a line of glitter above your normal black/brown liner for added drama. Colors include Sparkling Silver, Shimmering Gold, Pink Opal, and Sea Foam. Trust me, you will get compliments. Rival Santa’s twinkle with Wet n Wild’s shadow singles. 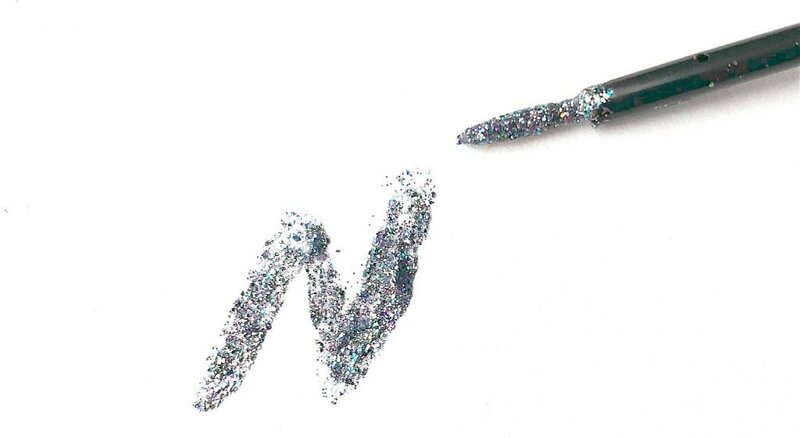 Attract attention to your eyes by adding some glitter to your lids! The silver and gold shades make a holiday statement, but you can also stick with something more subtle like rose gold. And at 99 cents each, you can afford to play around with new colors. Let it glow, let it glow, let it glow! 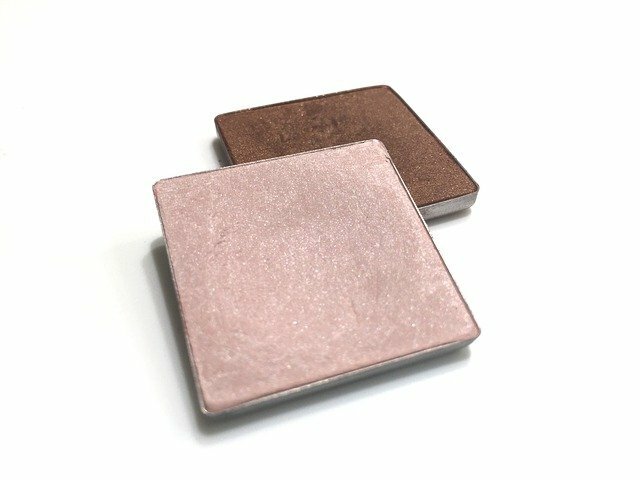 Packed with light-reflecting pigments, this shimmery, liquid highlighter can be worn alone to highlight to certain areas of your face, such as your cheek bones. 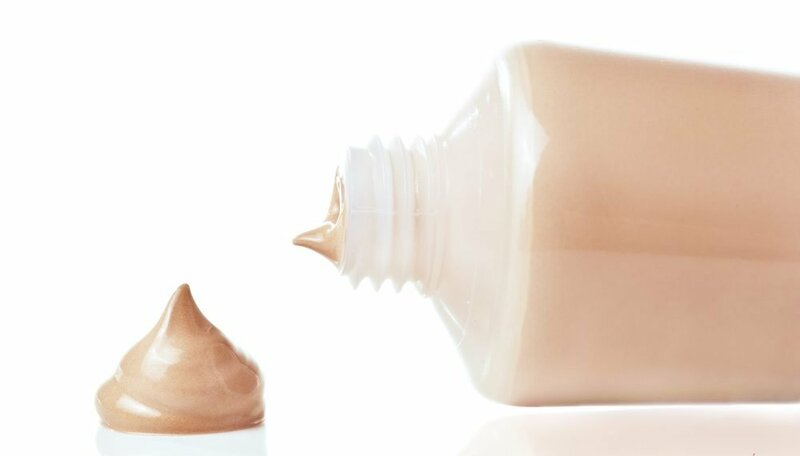 Mix Good to Glow into your foundation or moisturizer for all-over radiance. It’s not just for your face, you can also highlight your collar bones and shoulders. 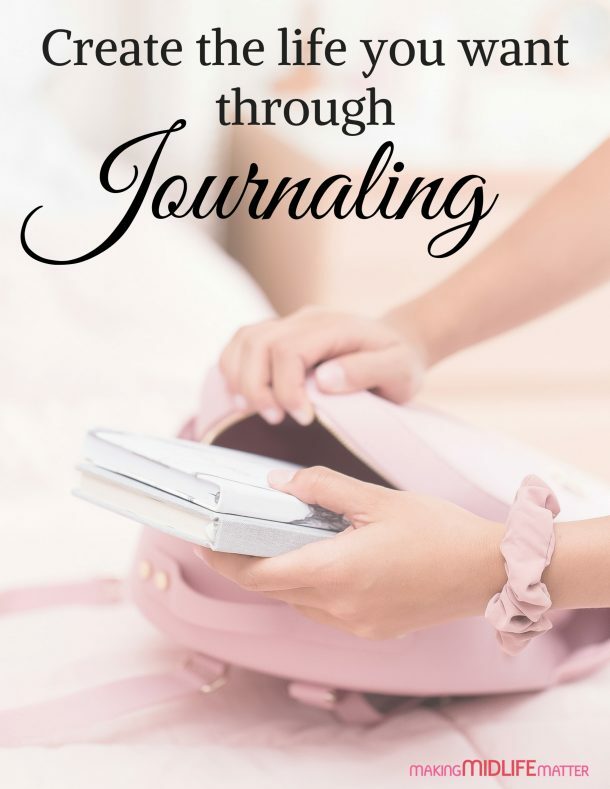 With so many uses, this is something you’ll be reaching for year round. It’s the gift that keeps on giving! 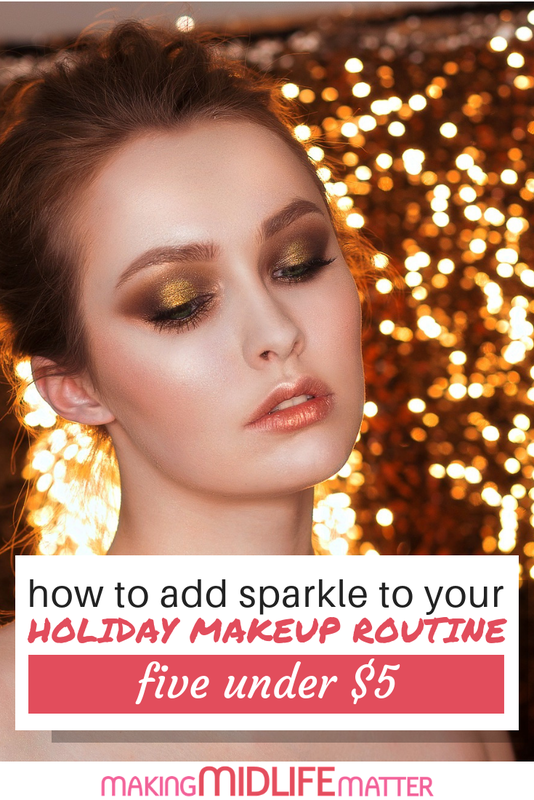 Makeup isn’t the only way to sparkle, you can also work the holiday trend with glitter nail polish. Choose a traditionally festive color like red or green, or go for a neutral like silver and gold. Paint all your nails, or use glitter polish for an accent nail. 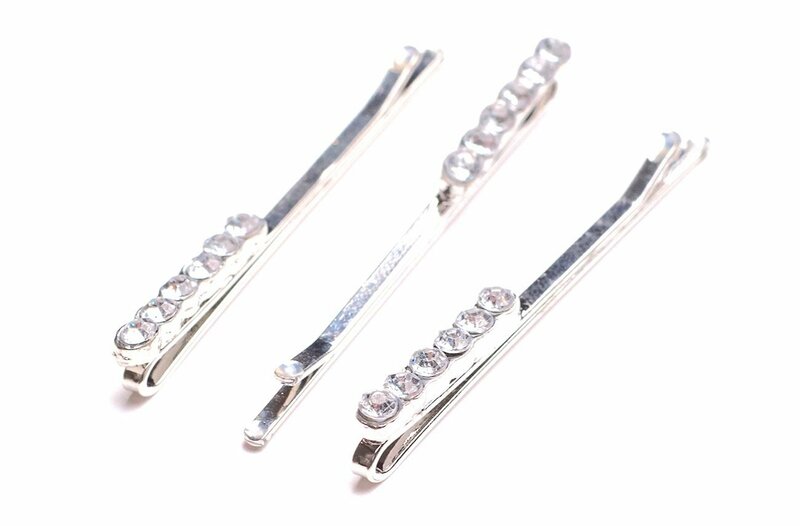 Bobby pins are still having their moment in the spotlight! Just by tucking a rhinestone bobby pin into your hair, you level up your glam! You take an everyday look to an evening/party look instantly. They work great with an up-do, but look just as elegant simply holding hair behind your ear. Glitter always feels glamourous. So after the holidays, keep the trend going. Put the tinsel and lights in storage, but don’t pack away your sparkle! This post was written by Audrey Gem of Cremes Come True. If you have any questions or want to know more about makeup for women over 40, please visit her blog.